As it is known Turkish government has been taking strict measures to silence dissidents from various ideologies recently. Gulen Movement has been the main target of the government, which is a faith-based group of people engaging in different voluntary activities such as education, business and health. Alleged supporters of the Movement in Turkey have been dealing with arrest, imprisonment, torture, inhuman and degrading treatment, confiscation and passport seizure. Regrettably, Turkish government’s actions against the Gulen Movement are not limited to Turkish borders but are also extraterritorial. There are many examples of abductions and physical violence incidents in several countries as well as threats by pro-government people referring to the supporters abroad. Individuals linked to the Movement cannot feel safe abroad either. It is evident that the actions of the government have cross-border impacts putting even people abroad at risk. On March 29, 2018, Mr. Mustafa Erdem, Mr. Yusuf Karabina, Mr. Kahraman Demirez, Mr. Cihan Özkan, Mr. Hasan Hüseyin Günakan, employees of Turkish Educational Institutions in Kosovo and Prof. Osman Karakaya were arbitrarily detained in Kosovo and extradited back to Turkey by Turkish intelligence officers. All six Turkish nationals had legal residence in the country and were detained by Kosovo police on demands of the Turkish regime for being affiliated with the Hizmet Movement. Hashim Thaci, President of Kosovo, told the press that he was disappointed because their relevant institutions have failed to defend principles related to human rights of foreign citizens who live and work in their Kosovo. 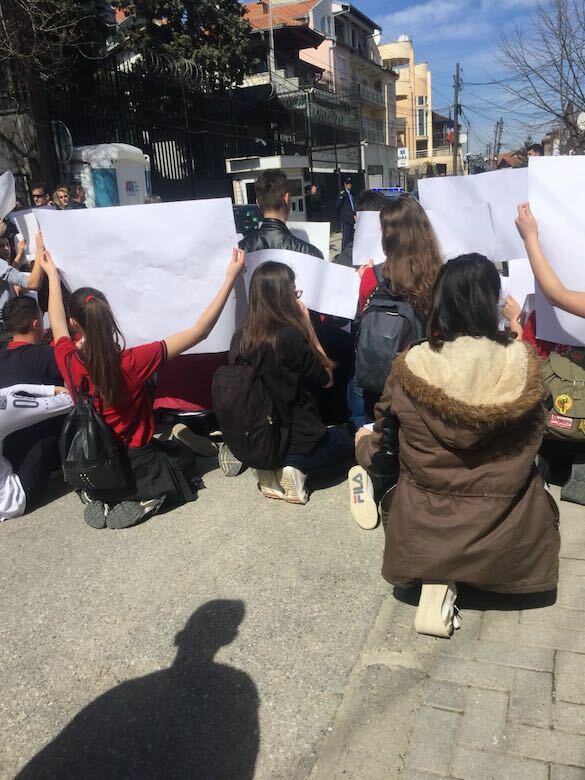 Kosovo Prime Minister Mr. Ramush Haradinaj informed the public that he was not informed about this operation and that he would act according to his legal and constitutional competencies. 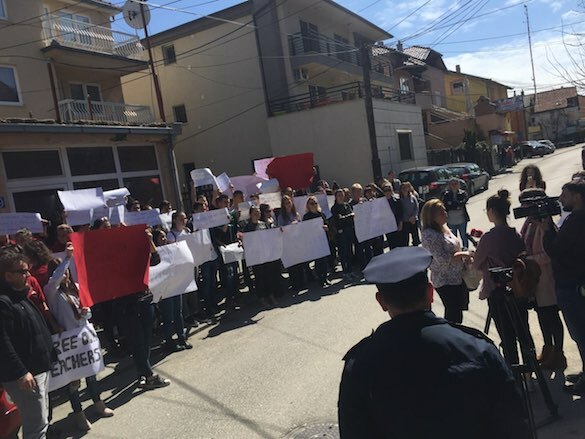 Moreover, Kosovo’s foreign ministry strongly denounced the action, “the arrest and deportation of the Turkish citizens with a regular residence permit … is … in direct contradiction to international norms”. Kosovo Prime Minister sacked the Interior Minister Mr. Flamur Sefaj and Intelligence Chief Mr. Driton Gashio for their collaboration with a foreign power and their failure to inform their superiors on such a controversial operation. President Erdogan is using mafia-like methods to govern the country. There are many cases of organized crimes in Turkey. Nonetheless, President Erdogan has on numerous occasions shown that his threats can be successful in smaller states. Since the failed coup attempt in 2016, Turkish government successfully abducted Hizmet sympathizers from Sudan, Kazakhstan, Pakistan, Georgia, Myanmar and Malaysia. Advocates of Silenced Turkey’s have released a comprehensive report on the current and possible threats supports of the Gulen Movement face abroad. Nonetheless, the US President Donald Trump’s ex-national security adviser Mike Flynn was alleged to accept the Turkish government’s offer of 15 million dollars in exchange for delivering Mr. Fethullah Gulen to Turkey while he was in office. People that are perceived as linked to the Gulen Movement are justifiably right to be afraid of the possible incidents. Therefore, we kindly urge request governments and all relevant organizations to take all the necessary preemptive steps to ensure safety to these people before it is too late. Security officers must be aware of the potential risks. Officials working for the Turkish government abroad must be watched closely, they must be prevented if they are in preparation of any harm. 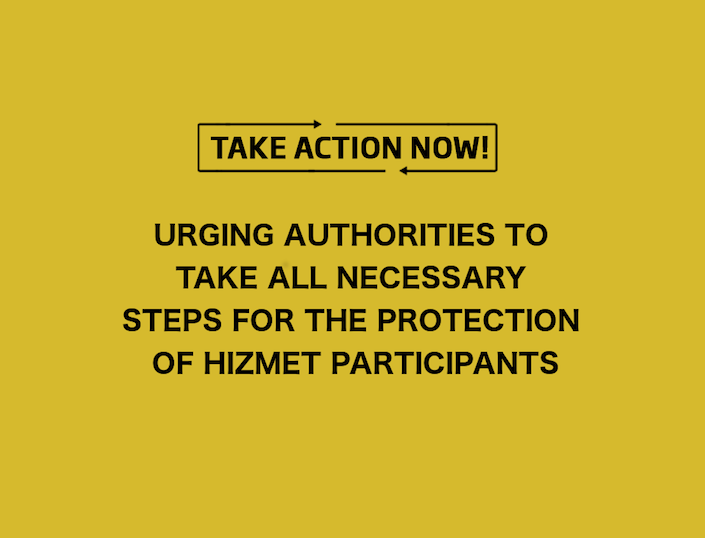 Lastly, both individuals and organizations that are deemed to be Hizmet participants must be provided extra protection when there is an imminent risk targeting them. We urge everyone to take action. Express your views or send attached statement below to following relevant individuals and organizations. If you have been receiving threats or feel threatened, please send an additional personal letter that describes your situation. Attached is a letter template that can be useful. Note: At this time FBI do not have a national e-mail address for public questions or comments. Some of their local FBI offices, however, do have their own e-mail addresses. Kosovan online media has been reporting that six Turkish nationals who have legal residence and/or working permit in the country have been detained by Kosovan police on demands of the Turkish regime and that the operations are continuing on against other Turkish nationals alleged to be affiliated with the Gulen Movement. According to pro government media 6 people arrested by the intelligence service of Turkey and brought to Turkey by a private jet. Sources from the UN apparatus in the country suggested that the list of to-be-detained Turkish nationals living in Kosovo includes 200 names. Lawyers of the teachers have complained to the local media that they are not being informed about the whereabouts of their clients. The six Turkish nationals detained up until now are, Mr. Mustafa Erdem, general director of Mehmet Akif College run by Turkish businesspeople in Kosovo, Mr. Yusuf Karabina, deputy director of the same school, Mr. Kahraman Demirez, director of the Djakovica branch of the school, Mr. Cihan Ozkan, a biology teacher, Mr. Hasan Huseyin Gunakan a chemistry teacher from the same school and Prof. Osman Karakaya, a Turkish medical doctor apparently staying in the country as a tourist. The detention came a month after a February visit by Deputy Minister of Justice of Turkey Mr. Bilal Ucar complaining about the schools run in this country by the alleged Gulenists. Kosova had previously detained another Turkish national Mr. Ugur Toksoy on alleged grounds of involvement with Gulen Movement but a Kosovan court suspended the extradition process due to lack of material evidence. The fact that the detentions came on the day of Turkish Prime Minister Binali Yildirim’s visit to the Balkans is also troubling. Turkish nationals with alleged links to the Gulen Movement had occasionally been detained and subjected to lengthy interrogations in order to ease the pressure of the Turkish politicians during their trips to friendly countries. 6 Türk eğitimciyi almak için Kosova’ya gelen özel uçağın görüntüleri ortaya çıktı. Ancak uçağa bindirilme görüntüleri yok! From a trustworthy source from 'Gulistan' Education Institution we are informed that the 6 Turkish citizens have been seen in the "Old Building" at the 'Cargo' of the Prishtina Airport at 19.00. We urgently ask from Kosovo authorities to take action. 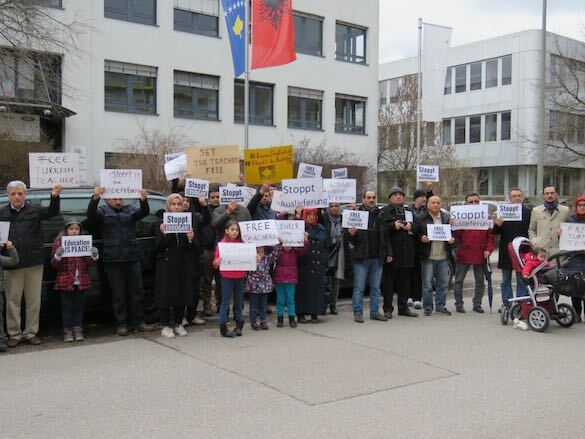 *Claim* I'm hearing is Kosovo detainees are being taken to airport right now for their actual transfer to Turkey. Kosovo authorities should prevent them from being taken from Kosovo territory. Closely following yesterday’s events. Transparency and commitment to due process and the rule of law are vital. I have a question for #Kosovo leaders @HashimThaciRKS @haradinajramush . What if Germany or Switzerland during the 1990 had set your extradition to the Milosevic regime? How many of you asked shelter in EU resisting autocracy of that time? For the record, there has been an enormous reaction by #Kosovo journalists, MPs, activists and society in general against deporting #Turkish citizens thus abiding Erdogan orders. Kosovo should promptly investigate conditions of their arrests and current whereabouts. Extraditions without due process to #Turkey where they risk torture would be illegal. Since the attempted coup of July 15, 2016 the Government of Turkey Turkish government has engaged in illegal extraterritorial and extrajudicial actions been taking strict measures to silence dissidents in other countries from various ideologies recently. Gulen Movement (also known as “Hizmet Movement,” meaning service in Turkish) has been the main target of the government, which is a faith-based group of people engaging in different voluntary activities such as education, business and health. Alleged supporters of the Movement in Turkey have been dealing with arrest, imprisonment, torture, inhuman and degrading treatment, confiscation and passport seizure. Regrettably Turkish government’s actions against the Gulen Movement are not limited to Turkish borders but are also extraterritorial. There are many examples of abductions and physical violence incidents in several countries as well as threats by pro-government people referring to the supporters abroad. This paper discusses these issues to conclude that individuals linked to the Movement cannot feel safe abroad either. Therefore, this study aims to remind foreign security officers the risks Hizmet participants may face, and to request that necessary legal, administrative and practical measures are undertaken to ensure protection of individuals who might be at risk and subject to possible abduction, enforced disappearance, and extrajudicial killings. Even though actions of the Turkish government against dissidents including the Gulen Movement are not appreciated by many countries around the world, there are some states who are in cooperation with Turkey neglecting human rights and fundamental freedoms. This study will first talk about abductions and deportations around the world that are considered as violating international human rights law and customary international law. Then in the second section, violent reactions perpetrated in foreign states by pro-government people will be mentioned. Third section will be giving details about recent threats targeting the supporters of the Movement. Lastly, to cope with such risks and threats, the Advocates of Silenced Turkey recommends to foreign governments to take all the necessary steps for ensuring protection to these people. There has been many news around world that members of the Movement have been abducted in different countries suspiciously by the intelligence agencies who aimed to sent them back to Turkey. Below there are summaries of different relevant cases occurred recently which are set out chronologically. It must be noted that below there are only sample stories of people who could reach out to media and whose voices could be heard by the international community. There might be many more people living through similar things who are not mentioned here in this report. Memduh Cikmaz has been running a factory in Sudan, and was wanted by Turkey for almost two years and Sudanese authorities informed him that there was no problem regarding his factory as well as his stay in Sudan. 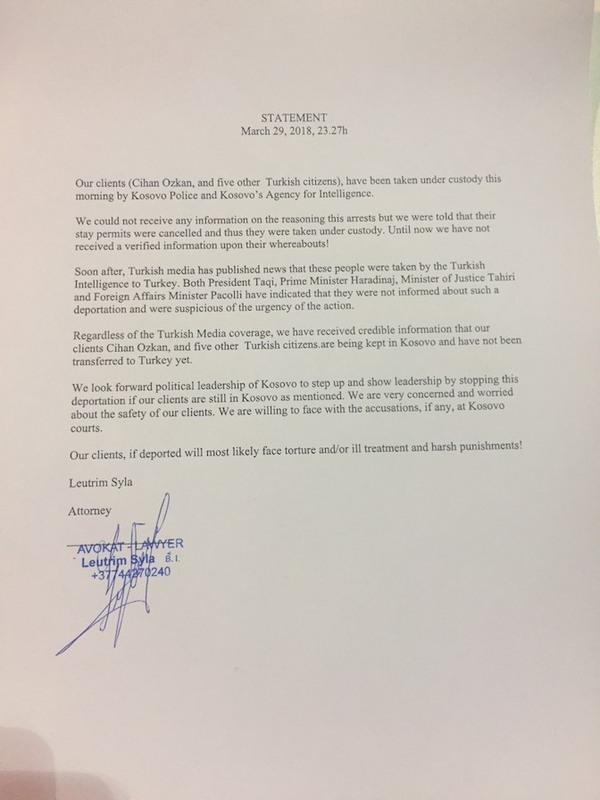 However, after the so-called coup attempt in Turkey, the government has been sending letters to foreign governments to deport the supporters of the Movement. Following these, Mr. Cikmaz was detained in a joint operation by Sudanese and Turkish police. He wanted to meet with his lawyer but was denied access, and moreover his family has been concerned of his health relating to a protein-related disease. Hence, they urged domestic authorities not to deport Mr. Cikmaz as he might face persecution in Turkey. Their call was not responded positively. He was deported as well as detained and arrested in Turkey after deportation. There has not been much detailed information about his situation. Nevertheless, if he has been facing with ill-treatment during his arrest, it means Sudan has breached its responsibilities the 1951 Refugee Convention by sending him back. Enver Kilic and Zabit Kisi were abducted from a plane in Kazakhstan by an unknown group of people. Their wives have been trying to make themselves heard through social media. Accordingly, on 16 September 2017, both were not allowed to get on the plane because their passports were allegedly cancelled. They had a court hearing in two weeks on 30 September 2017. Ms. Kilic and Ms. Kisi wrote on social media that they cannot get any news from their husbands since 30 September 2017. Two men were reported to be deported according to Turkish media, moreover, they were under custody in Turkey. Nevertheless, there have not been any up-to-date information about them and their condition, their families are justifiably afraid of the possibility of torture. It must be noted that Kazakhstan has been party to the 1951 Refugee Convention, meaning that the country presumably violated the principle of non-refoulement prescribed in the Convention. Mesut Kacmaz and his family, including his two daughters, were abducted in Pakistan on 27 September 2017. Mr. Kacmaz was an educator at a chain of 28 PakTurk Foundation schools that were allegedly linked to the Hizmet Movement. The schools were closed by local authorities last year following the request of Recep Tayyip Erdogan, President of Turkey. Even though the Turkish government asked for their return to Turkey, teachers and employees of the schools have remained in Pakistan under temporary court rules and protection of the United Nations claiming that they will be detained and might be tortured once set foot in Turkey. According to the Human Rights Commission of Pakistan, the family was taken by “20 armed people in plain clothes.” A neighbor and a fellow friend of the family stated the family was “restrained, blindfolded and hustled into unmarked pickup trucks in Lahore.” Moreover, that he was also taken to a secret facility and released after several days only because he wanted to intervene. Pakistani police officers stated that they had no information regarding the family which directs suspicions to intelligence agencies. Human Rights Watch highlighted that Kacmaz family was under the protection of the UNHCR with a valid certificate until 24 November 2017, thus cannot be extradited. The Pakistani government’s lawyer assured that the family would not be deported as per the UNHCR asylum seeker certificate. Nonetheless, expected scenario happened. Pursuant to later news, the family was handed over to Turkish police and deported to Turkey presumably on 14 October 2017. According to their daughters’ statement, Mr. Kacmaz and his wife were taken into custody not suprisingly, which proves that the family’s fear of persecution was reasonably well-founded. There are still many Turkish families in Pakistan under the UNHCR protection and they are afraid that they might be the next ones to be returned to Turkey through such illegal means. As the Human Rights Watch notes, the deportation violates both the Lahore High Court’s decision and international law. One might claim that Pakistan is not party to the 1951 Refugee Convention. However, this cannot mean that the country is not under any obligation towards refugees as it is still bound by the customary international law. Accordingly, countries are prohibited to return people to their home countries where it is likely that they will face persecution such as torture, inhuman and degrading treatment. The deportation attracted attention of international journalists and politicians as well, for instance, Rebecca Harms, member of the European Parliament, criticized the Pakistani government strongly for deporting Kacmaz family on her social media account. Despite all these efforts, Mr. Cabuk was not quite lucky. His asylum application to Georgia was rejected on July 2017. Moreover, the Georgian court extended his imprisonment for three more months on August 2017. It is yet expected whether Georgia will return him to Turkey. His wife right now can do nothing but trying to make her voice heard via the internet and social media. Mr. Sokmen was reportedly arrested and sent to Thailand, he was taken into an immigration detention center to be deported to Turkey there. After being held in detention for a day, he was extradited to Turkey where he was taken into custody and arrested again. No further information could be received regarding his recent condition, but unfortunately it is highly likely that he would be facing ill-treatment. Brad Adams, Asia Director of the HRW, stated “It is deeply alarming that both Burmese and Thai authorities prioritized showing deference to rights-violating demands from Turkey over respecting the bedrock principle of non-refoulement.” Adams also called Myanmar and Thailand to provide access to UN agencies to assess the situation of Turkish asylum seekers within their borders. Similarly, Laurent Meillan, acting regional representative of the UN Human Rights office for South-East Asia, stated “We reiterate our call to all governments, including in this latest case the Thai and Myanmar governments, to put in place an effective system of review before deportation occurs.” Like Pakistan, even though Myanmar is not party to the 1951 Refugee Convention, Mr. Sokmen should not have been deported under the customary international law. Turgay Karaman and Ihsan Aslan (a teacher and a businessman) were reported missing to local police by their families who have been living in Malaysia for a long time. Mr. Karaman was on his way to a meeting with his lawyer when he was bundled into a car by four or five unknown plain clothed Malaysian men on 2 May 2017 as revealed by surveillance cameras in an underground car park. His wife and friends believed he was abducted to be returned to Turkey. Likewise, Mr. Aslan has gone missing as well which was reported to the police by his wife on the same day as Mr. Karaman’s. Families of the two men went to the police and they found out eventually that both were detained “for activities that threaten the safety of Malaysia” as per counter-terrorism legislation. Mr. Karaman’s lawyer specified that neither his client nor Mr. Aslan were not involved with any violent activities. Fellow friends of both men indicated that they were not only worried for their friends but also for their own safety reminding the possibility that same thing would happen to them in the future. Similarly, within the same week, Ismet Ozcelik, former academic at the Mevlana University which was shut down by decree laws after the attempted coup, was abducted from his car. Similar to Kacmaz family in Pakistan, Mr. Ozcelik held a refugee card by the UNHCR. Human Rights Watch reflected on the situation and stated that men were held without any charge – which is allowed under the Law of Malaysia. “The authorities should release these men from custody if they haven’t charged them with a credible offense” said Phil Robertson, Deputy Asia Director of the HRW in his statement. The HRW and Amnesty International expressed their concerns that men would at risk of torture, inhuman and degrading treatment and/or other serious human rights violations should they be returned to their home country of Turkey. Both organizations have called the Malaysian government not to extradite three men to Turkey like they did in October 2016. Suspicions that these men were detained at the request of the Turkish government increased after their deportations, even though police chief Khalid Abu Bakar told reporters the opposite. As expected, expulsions were not welcomed by human rights organizations. Robertson from the HRW affirmed that it was a clear violation of international human rights law. Comparably, Josef Benedict, Deputy Director for Southeast Asia and the Pacific of Amnesty International, condemned the deportations pointing out the risk of “arbitrary detention, unfair trial and a real risk of torture.” The UN raised its concerns as well that other Turkish nationals at the region might be in danger because of Malaysia’s action. Laurent Meillan, acting regional representative of the UN Human Rights Office in Bangkok, asserted that this might have cross border impact on other countries in Southeast Asia. Tamer Tibik and Alettin Duman had gone through similar challenges in October 2016 as well. Both were reported missing by their wives who have searched everywhere possible to find them including police stations and hospitals. It was several days later when they guessed it was their husbands that the Turkish Foreign Minister at the time talked about when he announced Malaysia handed over “terrorists” cooperating with Turkey. Yet, they could not get any more news about their situation. Mr. Tibik’s mother was able to find them after searching through various police stations door-to-door. Mr. Tibik wrote in a letter to his wife that unknown men took him in Malaysia to a forest for interrogation using torture. What is worse, Mr. Duman’s mother learned from his son that the torture have not ended once they arrived Turkey but continued for weeks. Whereas these abductions and extraditions have been taking place in non-European countries, supporters of the Movement cannot feel completely safe in other countries as well. Pro-government people and organizations around the world as well as Turkey’s representatives abroad have been constituting a threat. Especially after the so-called attempted coup, the government’s partisans became more aggressive. For instance, former member of the European Parliament Ozan Ceyhun wrote on social media “Gülenists in Germany will have many sleepless nights. We owe that to our martyrs.” Individuals who are perceived to be Gulenist have been dealing with death threats and arson attacks, also receiving insults on the internet, all were reported to police. For example, head of one of the pro-Erdogan organizations Dursun Bas wrote on social media “How do you dare to go out on the streets? For you there will be no easy death.” Some people said they cannot even go to mosques not to come across government supporters. Pro-government people have also damaged the institutions deemed to be linked to the Movement across Europe, to exemplify buildings of associations inspired by the Hizmet Movement in the Netherlands, Belgium and Germany were stoned, burned and/or attacked physically. Whereas European governments show significant efforts to protect the supporters of the Movement – just like everyone within their borders, it would still be possible for individuals to damage the supporters. To exemplify, a Turkish businessman who reportedly had links with the Movement was killed on September 2017. Ali Ekrem Kaynak was shot in Amsterdam, who was targeted earlier in 2017 as well. Someone has tried to set his restaurant fire, and moreover, his partner in business was shot in August 2017. His partner survived after the first shooting but Mr. Kaynak could not. Witnesses told news agencies that both men had already arguments before with the supporters of the government and were beaten by them. Similarly, members of the Movement have been exposed to verbal attacks in the United States too by pro-government people. Government agencies abroad also have also been taking actions against Hizmet supporters. To illustrate, Turkish preachers from the Turkish-Islamic Union for Religious Affairs (DITIB) have been collecting information regarding the supporters of the Movement at the government’s request. Even though these were initially claimed to be “false media claims,” Secretary General Bekir Alboga then admitted that “a few” imams provided information to the Presidency of Religious Affairs, which is operating under the Turkish Prime Ministry. Furthermore, as per later news, German police’s investigations revealed that these accusations may only be the tip of the iceberg meaning that such efforts could be taking place across Europe such as in the Netherlands, Switzerland and Belgium. Turkey has been on the news with a slightly different topic recently. In a case before the District Court of New York in the United States, Turkish businessmen are on trial for breaching Iranian sanctions. The defendants are charged with “participating in a billion-dollar scheme to smuggle gold for oil in violation of the Iran sanctions.” The case is relevant for this study in the sense that the Turkish government, including President Recep Tayyip Erdogan, is claimed to be helping those businessmen covering up the transactions through bribes. Meanwhile, the US President Donald Trump’s national security adviser Mike Flynn was alleged to accept the Turkish government’s offer of 15 million dollars in exchange for delivering Mr. Fethullah Gulen to Turkey. The case is still ongoing, therefore, there is no clear answer to the question of whether the government has tried something like this or not. However, what is evident is that the Turkish government has recently been mentioned and criticized in international news a lot by journalists, politicians and academics. Hence, it is speculated that the government will harshen its attitude even more against dissidents. Early signs of such assumptions have already started. The government announced its plans to build 228 new prisons in the next five years indicating that they are likely to arrest many more people. Furthermore, at least 699 people were imprisoned last week because of their alleged links with the Movement. Other signals of such expectations are given by pro-government journalists and politicians as well. For instance, Aydin Unal, former speechwriter of President Erdogan and current deputy of the ruling party (Justice and Development Party), threatened supporters of the Movement explicitly in his column at a pro-government newspaper. Referring to the journalists in exile, he wrote “They should prepare for the extrajudicial organization executions approaching, rather than conduct an operation through the judicial theater.” In his article, he claimed that the Movement would do something like this, because certain individuals’ living “does not serve the interests” of the Movement anymore. Nevertheless, it can be seen looking at recent news stories about Turkey that the Movement has turned into a scapegoat. To clarify, the government has been accusing the Movement of everything going wrong in Turkey. It does not matter if it requires to make radical changes in their statements, the government has dedicated itself to lay the blame on Mr. Gulen and his sympathizers. For example, very recently, Reza Zarrab, abovementioned businessmen who is on trial in the US, was declared as cooperating with the Movement by Ilnur Cevik, one of President Erdogan’s chief advisors. This is unbelievable in the sense that the Movement has been in the target board of the government since December 2013 when Reza Zarrab and family members of the cabinet ministers were taken into custody for corruption claims by police officers claimed to be Gulenist. Erdogan was a prime minister at the time and he explicitly protected Zarrab and stated he was a philanthropist businessman. Clearly, Erdogan’s such a clear sentence does not prevent Reza Zarrab to be declared Gulenist after conflicting interests arise. Threat by Aydin Unal, who has been targeting the Movement in his other articles too, attracted attention in the international community as well. Preet Bharara, former US attorney who started the investigation regarding Reza Zarrab, referred to his statement on his own social media account for awareness. Furthermore, Carolyn B. Maloney, congresswoman representing the 12th District of New York, highlighted the importance of press freedom and called US Department of State to condemn such threats officially. Another shocking statement was made by Cem Kucuk, pro-government journalist who is devoted to President Erdogan. During a live television program, he suggested Turkish intelligence agencies to kill family members of people who were arrested over Gulenist links (or alleged links). He criticized public prosecutors to be soft against Hizmet followers and went further to the point that proposing arrestees to be tortured in jail, for instance that they must be “hanged out of the window by their legs”. Similar threats and statements have been made by different people one of which is Ahmet Zeki Ucok, retired colonel and military judge from air forces. In his social media account, he implied as if the Movement is in a preparation of assassination plots against politicians, religious officials, journalists, sports men and leaders of the civil society in Macedonia and Kosovo by special teams. His statements are not surprising in the sense that it has become a cliché now to create conspiracy theories without any basis. 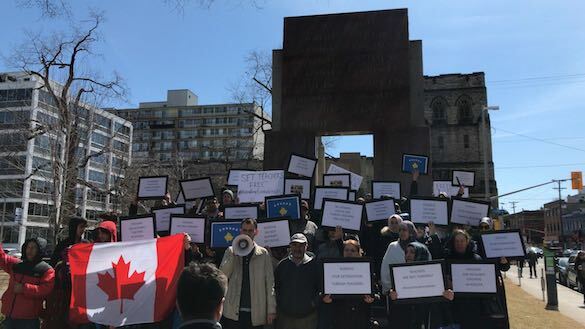 It must be noted that many western countries are welcoming Turkish asylum seekers having links with the Hizmet Movement and that states do no believe in the government’s claims about the Movement being behind the coup attempt. Therefore, such claims by pro-government people would be aiming to create a perception of terrorist organization. So far, President Erdogan’s calls to declare war against the Movement are not responded positively by foreign governments in most states, however, such assassinations would serve the interests of the Turkish government. Risks and threats Hizmet supporters might face are increasing day by day by the government’s and its supporters’ actions. According to German news agencies, Metin Kulunk, deputy from the ruling party, has allegedly been funding a Turkish gang named “Ottoman Germania” active in Germany. Surveillance cameras showed that Kulunk has been giving money to the members of this group which was then used to buy weapons. Research lead to the point that this gang has been assigned to attack the Turkish dissident groups in Germany. Last but not least, these concerns were voiced by a US magazine, Foreign Affairs, as well. The author of the article titled “Is Turkey Turning into a Mafia State?” mentioned different activities of the Turkish government implicating that the state is both neglecting and engaging with criminal activities such as illicit trading and smuggling, money laundering and corruption. Accordingly, Turkey has been creating fabricated stories targeting dissidents rather than fighting with real crimes. Statistics on the investigations against “conventional organized crime have dramatically decreased.” These speculations are strengthened by the sudden release of Sedat Peker from prison, who is a notorious mafia boss, and photos of President Erdogan embracing him. The article puts forward reasonable suspicions to think that Turkey has started to withdraw the rule of law and democracy, but leaning towards an autocratic mafia state. Considering all these, it is understandable why people deemed to be supporters of the Movement do not yet feel safe abroad. In an interview made by the AST, Bilal Eksili, partner at the Washington Diplomacy Group, stated “The situation is quite worrying especially for the prominent people” and continued “It is not possible to estimate the government’s actions in such a desperate position.” He added that after all these threats if something happens to a supporter of the Movement, the government will be the first to blame and that it will be a breaking point after which the government will be considered as a terrorist state. He called all the security forces and states around the world to ensure security to the supporters of the Movement. In another interview with a human rights lawyer from Turkey, who talked on condition of anonymity as he is worried about his family members in Turkey, it was asserted that the government using the state’s opportunities for their own interests to target members of the Movement abroad. He specified “I cannot say we are absolutely safe even abroad” and said he cannot even go to the Turkish mosque in his city because religious officials keep records of people for purposes of blacklisting, just like they cannot go to the consulate buildings. He said the government’s partisans are mostly uneducated people who can easily be manipulated, thus might be provoked against the supporters of the Movement. Lastly, he asked foreign governments to watch especially employees of the Turkish embassies closely to prevent any possible harm. 1. The abduction of citizens covertly and forcibly from the territory of another state is illegal and a flagrant violation of the sovereignty of the concerned state. 2. No exceptional circumstances whatsoever, whether a state of war or a threat of war, internal political instability or any other public emergency, may be invoked as a justification for enforced disappearance. 3. The perpetrator (Government of Turkey) should organize all State organs and governance structures through which public authority is exercised in a manner consistent with the need to respect international law and ensure the right to life, both in Turkey and abroad. 4. The perpetrator (Government of Turkey) is finally, under obligation, pursuant to article 2 (3) of the International Covenant on Civil and Political Rights, to provide effective remedies to the victims, including immediate release, permission to leave Turkey and compensation for the violations which he/she has suffered and to take steps to ensure that similar violations do not occur in the future. To conclude, it is evident that the actions of the government have cross-border impacts putting even people abroad at risk. People that are perceived as linked to the Hizmet Movement are justifiably right to be afraid of the possible incidents. Therefore, we as the Advocates of Silenced Turkey urge foreign governments to take all the necessary steps to ensure safety to these people before it is too late. Security officers must be aware of the potential risks. Officials working for the government abroad must be watched closely, they must be prevented if they are in preparation of any harm. Lastly, both individuals and organizations that are deemed to be Hizmet participants must be provided extra protection when there is an imminent risk targeting them. 1. Identify individuals in the country who are likely targets of the Turkish National Intelligence Agency and the Turkish government, and that is in danger of being threatened, abducted, tortured and/or killed or illegally extradited. 2. Investigate evidence of the Turkish government’s illegal activity, including potential perpetrators’ actions, behaviors and abductions; extrajudicial assassinations of targets; and the torture or illegal removal of person(s) from the country. 3. Urge the Turkish government to immediately dissolve the Office for Human Abduction and Executions. 4. Support Human Rights Defenders in Turkey and abroad, and prevent arbitrary deprivation of life and extrajudicial killings. “Sudan’da Türk işadamına gözaltı.” Aktif Haber, 8 Sept. 2017, aktifhaber.com/gundem/sudanda-turk-isadamina-gozalti-h103678.html. “Sudan arrests Gülen-Linked businessman at Turkey’s request.” Turkish Minute, 9 Sept. 2017, www.turkishminute.com/2017/09/09/sudan-arrests-gulen-linked-businessman-at-turkeys-request/. Gumrukcu, Tuvan. “Turkish, Sudanese intelligence agencies catch and return alleged coup suspect: Anadolu.” Edited by Dominic Evans and Mark Heinrich, Reuters, 27 Nov. 2017, reut.rs/2BqKVzD. Sudan has been party to the Convention since 1974. “Two Turkish nationals, abducted from plane in Kazakhstan, returned to Turkey: report.” Turkey Purge, 10 Nov. 2017, turkeypurge.com/two-turkish-nationals-abducted-plane-kazakhstan-returned-turkey-report; “Kaçırılan iki Türk’ün kayıtsız gözaltında tutulduğu ortaya çıktı.” Aktif Haber, 9 Nov. 2017, aktifhaber11.com/gundem/kacirilan-iki-turkun-kayitsiz-gozaltinda-tutuldugu-ortaya-cikti-h107173.html. Kazakhstan has been party to the Convention since 1999. Ijaz, Saroop. “Pakistan’s Deportation of Turkish Family Shows Many at Risk.” Human Rights Watch, 18 Oct. 2017, www.hrw.org/news/2017/10/18/pakistans-deportation-turkish-family-shows-many-risk. Hashim, Asad. “Missing Turkish teacher ‘deported from Pakistan’.” Pakistan News | Al Jazeera, 16 Oct. 2017, aje.io/wgf3m. See fn. 8; Article 33 (1) of the 1951 Refugee Convention states “No Contracting State shall expel or return (“refouler”) a refugee in any manner whatsoever to the frontiers of territories where his life or freedom would be threatened on account of his race, religion, nationality, membership of a particular social group or political opinion.” UN General Assembly, Convention Relating to the Status of Refugees, 28 July 1951, United Nations, Treaty Series, vol. 189, p. 137, available at: http://www.refworld.org/docid/3be01b964.html [accessed 6 December 2017]. Harms, Rebecca (RebHarms). “How is this possible against high court decision and in spite of protection by @UNHCRPakistan @UNRefugeeAgency Any comment by UN? @hrw.” 15 Oct. 2017, 4:49 a.m. Tweet. “Gülen school manager arrested after Turkish PM’s Tbilisi visit.” OC Media, 25 May 2017, oc-media.org/gulen-school-manager-arrested-after-turkish-pms-tbilisi-visit/. “Urgent Action: Teacher at Risk if Extradited to Turkey.” Amnesty International, UA: 121/17 Index Eur 56/6372/2017 Georgia, 26 May 2017, https://www.amnestyusa.org/urgent-actions/urgent-action-teacher-risk-extradited-turkey-georgia-121-17/. “NGO’s appeal to the Government of Georgia regarding possible extradition of Mustafa Chabuk to Turkey.” EMC (Human Rights Education and Monitoring Center), 5 June 2017, emc.org.ge/2017/06/05/emc-298/. “Georgia refuses refugee status to detained ‘Gülen school manager’.” OC Media, 10 July 2017, oc-media.org/georgia-refuses-refugee-status-to-detained-gulen-school-manager/. A letter by Mr. Cabuk’s wife can be found here: Cabuk, Tugba. “Turkey Wants to Arrest My Husband. You Can Save Him.” The Globe Post, 6 June 2017, www.theglobepost.com/2017/06/06/turkey-wants-to-arrest-my-husband-you-can-save-him/. Goldberg, Jacob. “Myanmar-Based family abducted by Turkish embassy from Yangon airport | Coconuts Yangon.” Coconuts, 25 May 2017, coconuts.co/yangon/news/turkish-teacher-abducted-embassy-officials-yangon-airport/. Lefevre, Amy Sawitta, et al. “U.N. expresses grave concern over Myanmar, Thai deportation of Turkish national.” Edited by Andrew Bolton, Reuters, 27 May 2017, reut.rs/2qZbEjt. “Burma/Thailand: Deported Turkish Man at Risk.” Human Rights Watch, 1 June 2017, www.hrw.org/news/2017/06/01/burma/thailand-deported-turkish-man-risk. For more detailed information, see Dearden, Lizzie. “CCTV shows school principal being ‘abducted’ as post-Coup crackdown in Turkey spreads to Malaysia.” The Independent, 3 May 2017, www.independent.co.uk/news/world/asia/turkish-principal-men-abducted-malaysia-kuala-lumpur-turgay-karaman-ihsan-aslan-gulen-hizmet-coup-a7716376.html; Latiff, Rozanna. “Malaysia arrests two Turks suspected of threatening national security.” Edited by Nick Macfie, Reuters, 3 May 2017, reut.rs/2pWSqf2. For more detailed information, see Latiff, Rozanna. “Malaysia detains third Turkish national citing security fears.” Edited by Nick Macfie, Reuters, 5 May 2017, reut.rs/2pfl1bp; “Police arrest third Turkish man.” Free Malaysia Today, 5 May 2017, shar.es/1MCZY9. “Malaysia: Longtime Turkish Residents Detained.” Human Rights Watch, 5 May 2017, www.hrw.org/news/2017/05/05/malaysia-longtime-turkish-residents-detained. Holmes, Oliver. “Fears grow Turks held in Malaysia may face unfair trial or torture at home.” The Guardian, 3 May 2017, www.theguardian.com/world/2017/may/03/fears-grow-turks-held-in-malaysia-may-face-unfair-trial-or-torture-at-home. “Malaysia has deported three Gülenists, says Turkish FM.” Hürriyet Daily News, 14 Oct. 2016, www.hurriyetdailynews.com/malaysia-has-deported-three-gulenists-says-turkish-fm–104984; “Urgent Action: Three Turkish men arrested and at risk of torture.” Amnesty International, UA 102/17: ASA 28/6180/2017 Malaysia, 5 May 2017, https://www.amnesty.org.uk/files/2017-05/UA10217.pdf?5QWbhLChxi143jTm5gUX4hB_lBjYjOgG. Latiff, Rozanna, and Robert Birsel. “Malaysia deports three Turks amid U.N. fears of widening Turkish crackdown.” Edited by Nick Mackie, Reuters, 12 May 2017, af.reuters.com/article/worldNews/idAFKBN1880PE. Weise, Zia. “Long arm of Turkey’s anti-Gülenist purge.” Politico, 21 Aug. 2017, www.politico.eu/article/long-arm-of-turkeys-anti-gulenist-purge/. Baume, Maïa de La, and Giulia Paravicini. “‘Sleepless nights’ for Gülen’s supporters in Europe.” Politico, 24 Aug. 2016, www.politico.eu/article/sleepless-nights-for-fetullah-gulen-supporters-in-europe-erdogan-turkey-coup/. Wolf, Marthe van der. “Turks Seen as Sympathetic to US-Based Muslim Cleric Say They Face Threats.” VOA News, 29 Aug. 2016, www.voanews.com/a/turks-seen-sympathetic-us-based-muslim-cleric-face-threats/3485265.html. “A Turkish businessman killed in Amsterdam over his alleged links to Gülen movement.” Stockholm Center for Freedom, 16 Sept. 2017, stockholmcf.org/a-turkish-businessman-killed-in-amsterdam-over-his-alleged-links-to-gulen-movement/. Roman, Gabriel San. “Turkish Trash Talk: Erdogan Backer Accosts Gulenist Vendor at OC Halal Food Festival.” OC Weekly, 7 Dec. 2017, www.ocweekly.com/news/video-erdogan-supporter-accosts-gulenist-vendor-at-muslim-food-festival-8605011. The DITIB is an umbrella organization active in Europe working for the Presidency of Religious Affairs of Turkey. Winter, Chase. “Turkish Islamic organization DITIB admits preachers spied in Germany” Deutsche Welle, 12 Jan. 2017, p.dw.com/p/2Vgzu?tw. Winter, Chase. “Turkish imam spy affair in Germany extends across Europe.” Deutsche Welle, 16 Feb. 2017, p.dw.com/p/2Xj3A?tw. Weiser, Benjamin. “Reza Zarrab, Turk at Center of Iran Sanctions Case, Is Helping Prosecution.” The New York Times, 28 Nov. 2017, nyti.ms/2icWFRu. For more detailed information about the case, see Weiser, Benjamin. “Reza Zarrab, Turk at Center of Iran Sanctions Case, Is Helping Prosecution.” The New York Times, 28 Nov. 2017, nyti.ms/2icWFRu, Weiser, Benjamin. “Reza Zarrab Testifies That He Bribed Turkish Minister.” The New York Times, 29 Nov. 2017, nyti.ms/2BygWWa, Weiser, Benjamin. “Erdogan Helped Turks Evade Iran Sanctions, Reza Zarrab Says.” The New York Times, 30 Nov. 2017, nyti.ms/2katZZL, Weiser, Benjamin. “At Iran Sanctions Trial: A Star Witness Revealed, and a Sleepy Juror.” The New York Times, 2 Dec. 2017, nyti.ms/2BG2qMs, Weiser, Benjamin. “Zarrab’s Take From Iran Sanctions Plot? ‘Maybe $150 Million,’ He Says.” The New York Times, 5 Dec. 2017, nyti.ms/2AUAtmf, “The Latest: Charges detailed in Turkish gold trader plea.” The Washington Post, 28 Nov. 2017, wapo.st/2hZS8Ou?tid=ss_tw&utm_term=.37ad7e2afad3, Barrett, Devlin, and Erin Cunningham. “Gold dealer implicates Turkey’s president in corruption scheme.” The Washington Post, 30 Nov. 2017, wapo.st/2AmdApq?tid=ss_tw&utm_term=.18c3e9148821. Grimaldi, James V., et al. “Mueller Probes Flynn’s Role in Alleged Plan to Deliver Cleric to Turkey.” The Wall Street Journal, 10 Nov. 2017, www.wsj.com/articles/mueller-probes-flynns-role-in-alleged-plan-to-deliver-cleric-to-turkey-1510309982. Demirkaya, Nergis. “Hükümetin 2023 planı: 5 yılda 228 yeni cezaevi – Nergis Demirkaya.” Gazete Duvar, 10 Dec. 2017, www.gazeteduvar.com.tr/gundem/2017/12/10/hukumetin-2023-plani-5-yilda-228-yeni-cezaevi/. Simsek, Yurdagul. “İçişleri Bakanlığı: Bir haftada 1323 operasyon düzenlendi, 4 bin 62 kişi gözaltına alındı.” Sputnik Türkiye, 11 Dec. 2017, sptnkne.ws/gkyG. Unal, Aydin. “’Smart’ Fetullahists.” Yeni Şafak, 4 Dec. 2017, www.yenisafak.com/en/columns/aydinunal/smart-fetullahists-2040235. “Cumhurbaşkanı Başdanışmanı’ndan Zarrab açıklaması.” CNN Türk, 20 Nov. 2017, www.cnnturk.com/turkiye/cumhurbaskani-basdanismanindan-zarrab-aciklamasi, “Erdoğan’ın başdanışmanı Zarrab’ı FETÖ’cü ilan etti.” Yeni Çağ Gazetesi, 20 Nov. 2017, www.yenicaggazetesi.com.tr/erdoganin-basdanismani-zarrabi-fetocu-ilan-etti-177682h.htm. “Erdoğan: Reza Zarrab ülkeye katkısı olan hayırsever biri.” T24, 26 Dec. 2013, t24.com.tr/haber/erdogan-reza-zarrab-ulkeye-katkisi-olan-hayirsever-biri,246961, Munyar, Vahap. “Zarrab hayırsever Aslan saf ve dürüst.” Hürriyet, 26 Dec. 2013, www.hurriyet.com.tr/zarrab-hayirsever-aslan-saf-ve-durust-25444886. For instance, he wrote “If the Zarrab case is used as a political attack against Turkey, the peace of FETÖ members in Turkey and all over the world will be more difficult than it is today.” Unal, Aydin. “Zarrab davasının sonuçları ne olur?” Yeni Şafak, 26 Nov. 2017, www.yenisafak.com/yazarlar/aydinunal/zarrab-davasinin-sonuclari-ne-olur-2041279. Bharara, Preet (PreetBharara). “Ladies and gentlemen, Erdogan’s deputy wants to kill Turkish journalists in exile, including those in America. https://www.turkishminute.com/2017/12/04/erdogans-deputy-threatens-journalists-with-extrajudicial-killings/ …” 4 Dec. 2017, 8:22 a.m. Tweet. Maloney, Carolyn B. (RepMaloney). “Freedom of the press is a vital part of any democracy and these threats are unacceptable. The US @StateDept needs to unequivocally and publicly condemn this.” 5 Dec. 2017, 7:57 a.m. Tweet. “Cem Küçük’ten canlı yayında işkence tavsiyesi: Havlu tekniği var, boğuyor.” Cumhuriyet, 12 Dec. 2017, www.cumhuriyet.com.tr/haber/turkiye/884749/Cem_Kucuk_ten_canli_yayinda_iskence_tavsiyesi__Havlu_teknigi_var__boguyor.html, “”Sallandır ayağından camdan aşağı”.” Odatv, 12 Dec. 2017, odatv.com/sallandir-ayagindan-camdan-asagi-1212171200.html, “Yandaş Cem Küçük’ün canlı yayında işkence öneren açıklamaları.” BirGun, 13 Dec. 2017, www.birgun.net/haber-detay/yandas-cem-kucuk-un-canli-yayinda-iskence-oneren-aciklamalari-rtuk-e-sikayet-edildi-195340.html. Ucok, Ahmet Zeki (ahmetzekiucok). “15 Temmuz darbe girişiminde başarılı olamayan FETÖ ve SAHİPLERİ,yeni bir kargaşa ortamı yaratmak amacıyla,Makedonya ve Kosova’da kurdukları özel timlerle siyasilere,din adamlarına,gazetecilere,spor adamlarına,sivil toplum liderleri vb karşı suikast planları yapmaktadırlar.Dikkat!” 5 Dec. 2017, 1:20 p.m. Tweet. “Vertrauter Erdoğans zündelt in Deutschland.” ZDF – zur Startseite, 12 Dec. 2017, www.zdf.de/politik/frontal-21/osmanen-germania-104.html. Gingeras, Ryan. “Is Turkey Turning Into a Mafia State?” Foreign Affairs, 30 Nov. 2017, www.foreignaffairs.com/articles/turkey/2017-11-30/turkey-turning-mafia-state?cid=int-fls&pgtype=hpg. Washington Diplomacy Group is an independent government affairs firm active in Washington DC. Eksili, Bilal. Interviewed by the AST on December 2017. Interviewed by the AST on December 2017. It is evident that the actions of the government have cross-border impacts putting even people abroad at risk. People that are perceived as linked to the Gulen Movement are justifiably right to be afraid of the possible incidents. Therefore, we as the Advocates of Silenced Turkey urge foreign governments to take all the necessary steps to ensure safety to these people before it is too late. Security officers must be aware of the potential risks. Officials working for the Turkish government abroad must be watched closely, they must be prevented if they are in preparation of any harm. 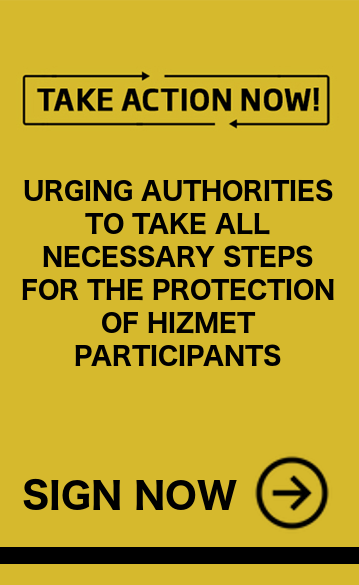 Lastly, both individuals and organizations that are deemed to be Hizmet participants must be provided extra protection when there is an imminent risk targeting them. We, as the Advocates of Silenced Turkey, remind foreign security officers and relevant bodies of the foreign governments the risks Hizmet participants may face, and to request all necessary steps to be taken to provide sufficient protection ensuring human rights and fundamental freedoms. Sign the petition. We will deliver the petitions to foreign security officers and relevant bodies of the foreign governments to request support in reducing risks Followers of the Gulen Movement face.